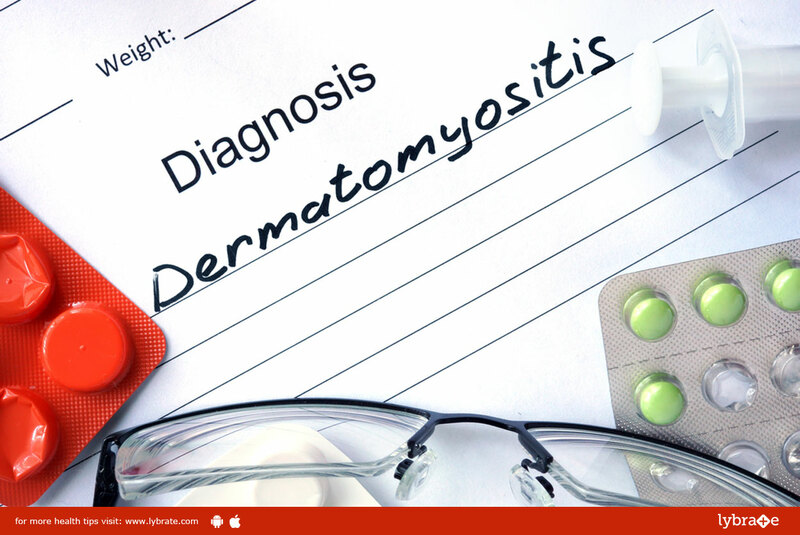 Affecting both adult and children alike, dermatomyositis is a very rare inflammatory skin disease characterized by muscle weakness and a distinct skin rash. It is more prominent in females than in males. 1. Muscle Weakness - Muscles affected include those closest to the trunk, such as those in your thighs, hips, shoulders, neck and upper arms. In most cases, both left and right sides of your body may get affected, and the weakness gradually worsens over time. 2. Skin Alterations – A dusky red or violet-colored rash most often on your face and eyelids and on areas in and around your nails, elbows, knuckles, chest, knees and back. Often the first sign of dermatomyositis, the rash can be patchy with purplish-blue discolorations. Although the exact cause is unknown, the disease bears much resemblance to autoimmune disorders, in which your body’s immune system attacks your own body tissues by mistake. With dermatomyositis, the small blood vessels in muscle tissues get affected in particular which eventually leads to degeneration of muscle fibres.